Your True Colours, we have all heard the phrase but what does it mean? 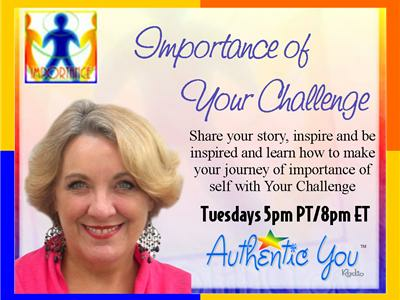 This week on the Importance of Your Challenge show Sara will be looking at your unique personality and in how you perceive your business world. Knowing your character how to use it and living by it, becomes part of your personal branding which is needed in any business in knowing your cliental arena. We draw to us like minded personas as we speak their language and these people are our target markets. Know your personality? Get an understanding of why all governments, military, global corporations all use this technique in hiring the right personality for the job helps us in choosing who we do business with. Learn to use this technique in building your own business, or standing out in a MLM.